relevant group discussion to grow your soul and mind. Wednesdays 9:45 a.m. or 5:30 p.m. or Sundays 9:15 a.m. or 5:30 p.m.
​How will you prepare for Christmas? ​This Advent, enrich your daily prayer by walking with Dr. Tim Gray on a journey of renewal. Ready your heart for the coming of Christ. 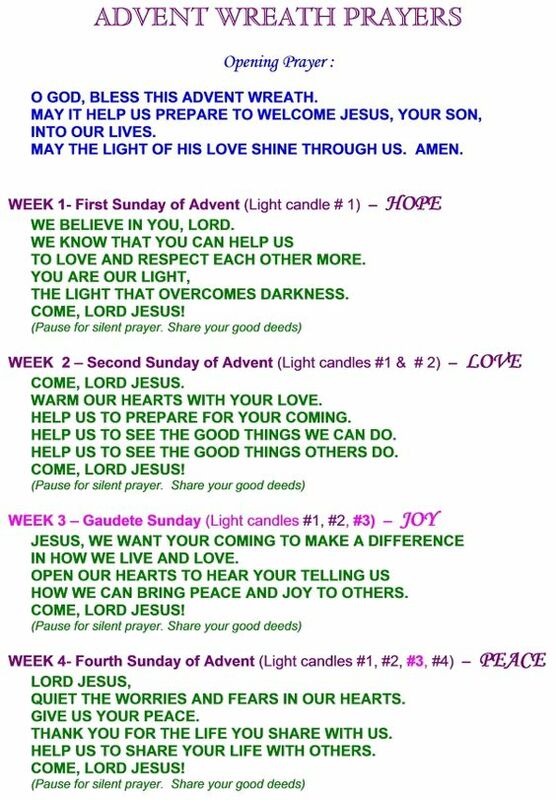 CLICK on the picture to register for ADVENT REFLECTIONS! ​Advent calendars, especially ones with religious themes, are a great way to introduce children to the concept of waiting. Some can be refilled from year to year, some are designed to be opened just for one Advent season, and others incorporate Scripture to reflect upon a particular part of the Christian story. Choose one that will help you to speak to your children about Advent and one that can become a part of your family traditions. Advent angels can be another simple tradition to encourage children to pray for one another. Each person in your house secretly chooses the name of someone within the family (or outside of the family) to pray for. You can also incorporate random acts of kindness into this activity. Family members only reveal their identity to each other on Christmas morning. Some families incorporate a guessing game in which family members are given clues and they try to guess which person is their Advent angel. If you have small children in your family, consider purchasing or making a small doll (an Advent angel) for your children. It is the job of the Advent angel to guide the child towards Christmas. Each night a Scripture passage is read and the family gathers to talk about what their Advent angel has shown them that day about Christ. ​Reverse Advent Calendar this idea has been floating around social media sites for the past couple of years, its general idea is to add something or thingS to a basket/box each day of advent and then donating the box of goodies to a local charity. So you could put food items and donate to the food pantry or toiletry items and donate it to the homeless shelter or toys and donate it to agency collecting toys or clothes .. the list can go on and on. But the idea is to think about your surplus and blessings and to be thankful and bless others as well. ​Advent Puzzle, start a puzzle at the beginning of Advent with the goal to have it completed by Christmas. This is a fun tradition that can lend itself for silent reflection, simple conversation, a break from a stressful day or homework and is just a simple addition to the season. The last piece placed in the puzzle then can be dated and signed by the placer. ​as a family to talk about Advent. ​Our digital twist on the traditional Advent calendar brings a sense of surprise by showing you the whole calendar, but not letting you “open” each day and find out what’s behind the picture until that day comes along. ​Each day, the link will lead you to a special Advent-themed Daily Jolt and MicroChallenge. Don’t miss the opportunity to make this your best Advent (and Christmas) ever. Sign up today! It’s simple, and the only cost is your commitment to live better each day during Advent. Are you ready? We prepare for everything we consider important in life, and that includes Christmas. We shop for gifts, bake cookies, decorate our trees, and visit family and friends until we’re ready to drop. Best Advent Ever is a free email program that will help you prepare for Christmas in a different way. Beginning the first Sunday of Advent (December 2nd) and continuing every day until December 26, you’ll receive short inspirational videos, practical tips, or free Christmas music that will help you slow down during the busy Christmas season to focus on what’s really important in life.